Please make sure you have read the Prize Money and Awards Rules at the bottom of this page to ensure that you qualify for any of the following awards. Besides prize money, the top 3 in each age group will also receive age group awards. Bonus amounts and existing course records are listed below. Race results will be posted on the wall of the Washtenaw County Courthouse (located at the intersection of Main and Ann Streets) as quickly as possible, and will be updated throughout the morning. Award ceremonies will take place in the staging area, on Main Street south of the finish line, at the times listed below. Due to time constraints, no age group award ceremonies will be held. Age group award winners should report to the awards tent to claim their prizes. – Not be currently serving a suspension for use of a banned substance. – Not have ever served a ban for use of performance enhancing drugs. athletes receive such suspensions in the previous 4 years. use of performance enhancing drugs during their own athletic careers. (form W-9, W-8ECI or W-8BEN). of USATF, USADA and WADA. Athletes winning prize money will be required to submit an Elite Athlete Attestation Form, certifying eligibility to receive prize money in accordance with the guidelines above. Completion of this form will require photo ID. Elite Athlete Attestation and eligibility forms (W-9, W-8ECI or W-8BEN) will be distributed at the award ceremonies. A Notary Public will be available to certify the Elite Athlete Attestation forms. If you are unable to stay after the ceremonies, completed forms can be emailed to the Race Director. Both completed forms, including all signatures and notarization, must be received by the race director by Friday, June 21, 2019, or prize money will be forfeited. NOTE: Prize money placings are final; no adjustments will be made in the event of a disqualification or forfeiture. In such a case, the prize money for the affected place will not be awarded. The Dexter-Ann Arbor Run has been a Michigan staple since 1974. 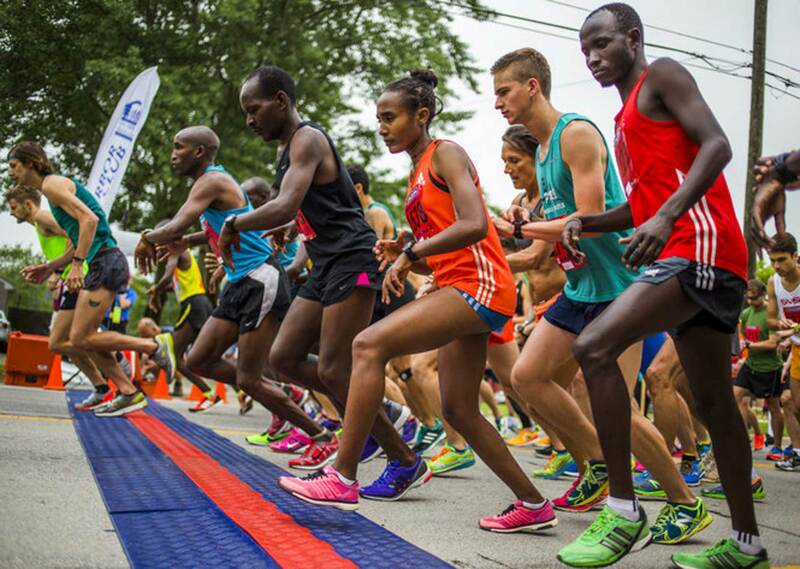 This Ann Arbor Track Club event annually draws thousands of runners from around the region to its scenic point-to-point Dexter to Ann Arbor Half Marathon course, 10k and 5k. We are at an exciting juncture in the journey of the Dexter-Ann Arbor race. Doug (Goodhue) has done a wonderful job with the best interests of AATC and race in mind. Follow all the latest Dexter-Ann Arbor Run news on your favorite social media platform. Updating database. Please check back.